Weather maps is a standout feature in the best free weather app for iPhone and iPad that attracts not only the weather nerds but also the common folk because of the wealth of information present in the maps. 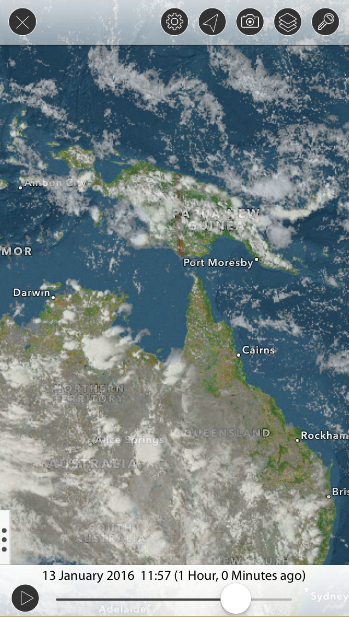 The maps feature in Weather Mate is interactive, user-friendly, responsive and fluid. There are multifarious map layers in the weather maps which can be used to predict as well as view numerous weather phenomena. 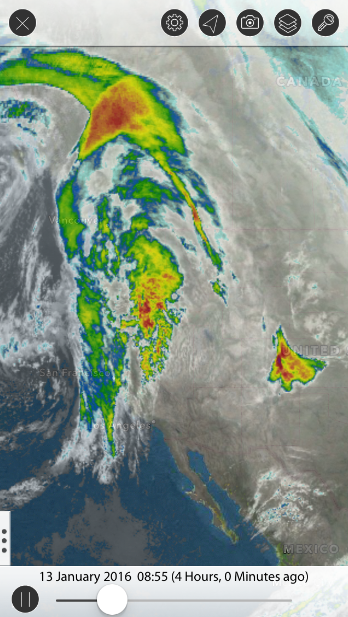 This article is focused on the Satellite weather maps which features two types of satellite images: Infrared and Visible. 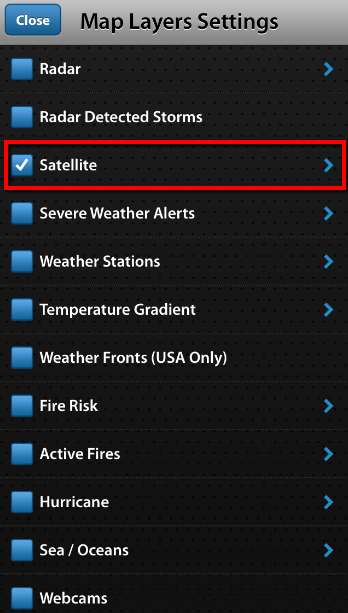 Follow the below mentioned step wise instructions to learn how to view satellite maps layer in Weather Mate. 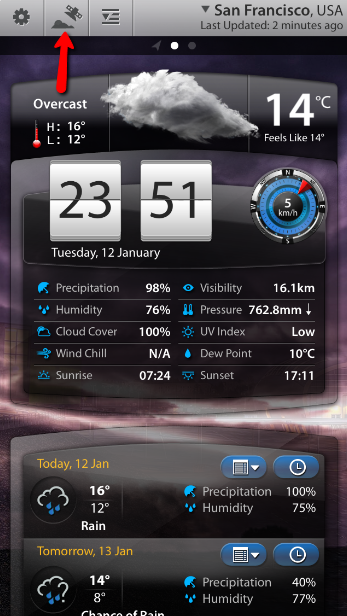 Open Weather Mate by locating its icon on your iOS apps screen to be directed to the home screen. 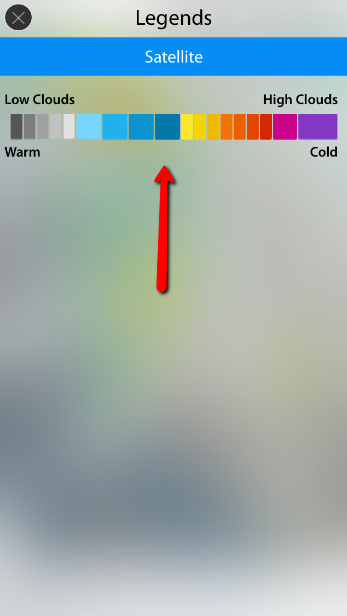 Tap on the maps tab in the top left corner of the home screen to get access to the Weather Maps. 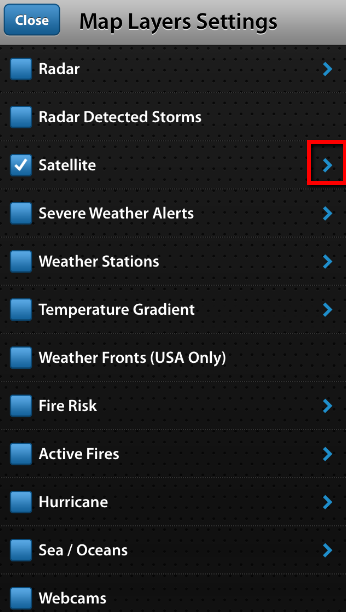 Tap on the Map Layer Settings tab to choose the Satellite overlays. 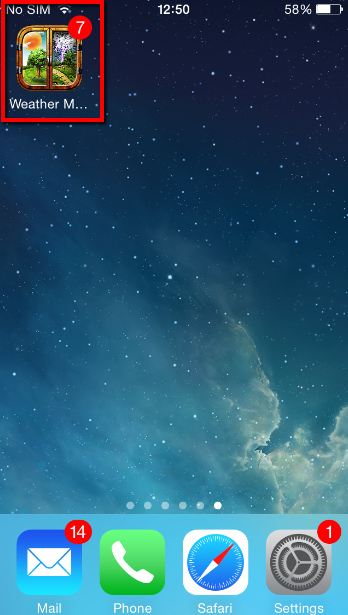 Tap on the arrowhead opposite to the Satellite layer option to enter the Satellite Map Settings. In infrared satellite images, the clouds are depicted by their temperature. 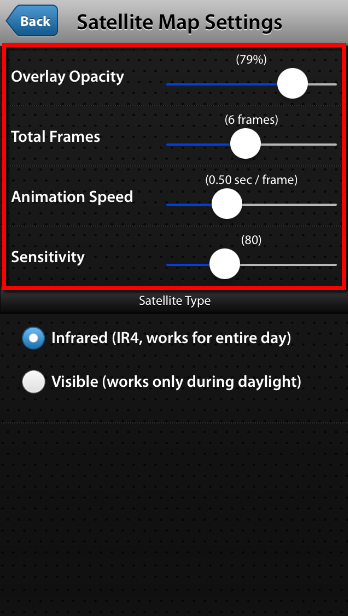 Keep in mind that Infrared satellite images are available for the entire day. To understand the infrared satellite imageries, tap on the legends button in the top right corner to switch on the Legend. Moving down the spectrum to various tones of grey, represents low and warm clouds whereas as we proceed up the spectrum to purple color, it portrays high and cold clouds. Visible satellite images are exactly as seen from space and can only be obtained during the daylight.